Ukraine has become poorer since collapse of the Soviet Union, with war in the East aggravating the economic problems, and the country will thrive only if private investors take the risk of investing in its economy, according to Ukrainian online newspaper Zerkalo Nedeli, with reference to the Economist. The country needs large investments in infrastructure, particularly in the war-torn east. The IMF is not able to provide all of this, as here we are talking about short-term financing. Other credit grantors, such as America and the EU, are idling in taking decision on this matter, the Economist writes. According to the newspaper, the economic problems in Ukraine have been piling up for a long time. Over the two decades under corrupt regimes, the country has grown 20% poorer compared to its economic state right after the collapse of the Soviet Union. 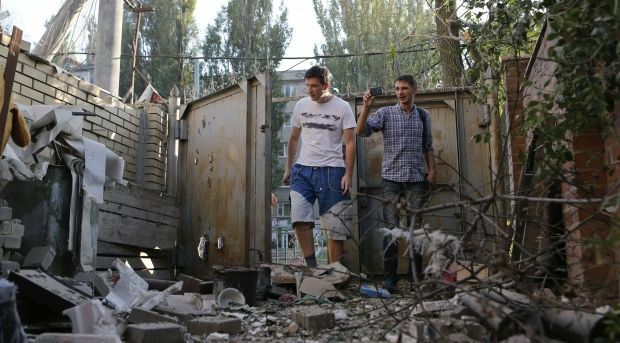 "War in Donetsk and Luhansk has aggravated the situation in the economy," according to the Economist. Ukraine is losing funds that could have been spent on servicing state debts. In exchange for its support, the IMF requires a "major overhaul" of the Ukrainian economy. The Ukrainian government is "tightening the belts." The scale of today's spending cuts and surge in prices is likely to reduce demand in the economy, which is already on the decline. "Austerity programs usually lead to political instability - take the example of Greece. Ukraine is much poorer, filled with men that have been affected by war," the Economist article reads. The publication notes that energy sector in Ukraine need investment. "If the country were as energy efficient as the EU country on average, this would have helped to avoid such dependence on gas imports from Russia." Gas production is another field in Ukraine where investments are greatly needed. "If [Ukrainian President Petro Poroshenko] and his Western allies do not start focusing on measures to stimulate the economy, default will be inevitable," the Economist warns. According to the estimates of the National Bank of Ukraine, the outflow of deposits in the national currency has amounted to UAH 16.8 billion, with inflation having increased to 19.8% (in October), as compared with 0.5% in January 2014. The national currency has devaluated by 58.9% over the same period. Earlier UNIAN reported that the chairman of the Council of Entrepreneurs within the Cabinet of Ministers, Leonid Kozachenko, warned that Ukraine may face default if reforms are not carried out in the next three months.